A classic shirt gets a a stunning update! Slim-fit button-up shirt. Lightweight fabrication. 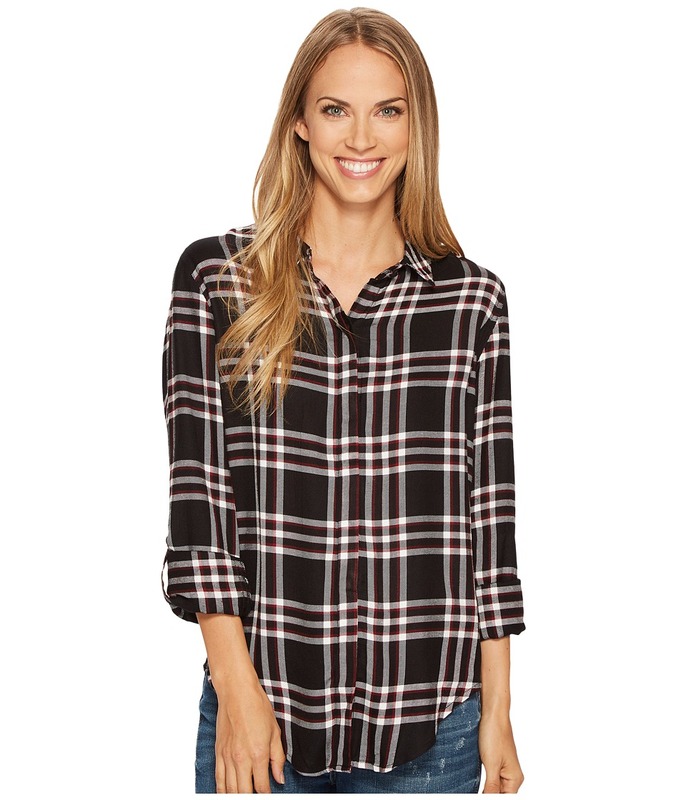 Plaid pattern features a vintage worn-in look. Fold-over collar. Convertible long sleeves with single-button cuffs. Shirttail hemline. 100 percent viscose. Dry clean only. Made in India. Measurements: Length: 31 in Product measurements were taken using size SM. Please note that measurements may vary by size. 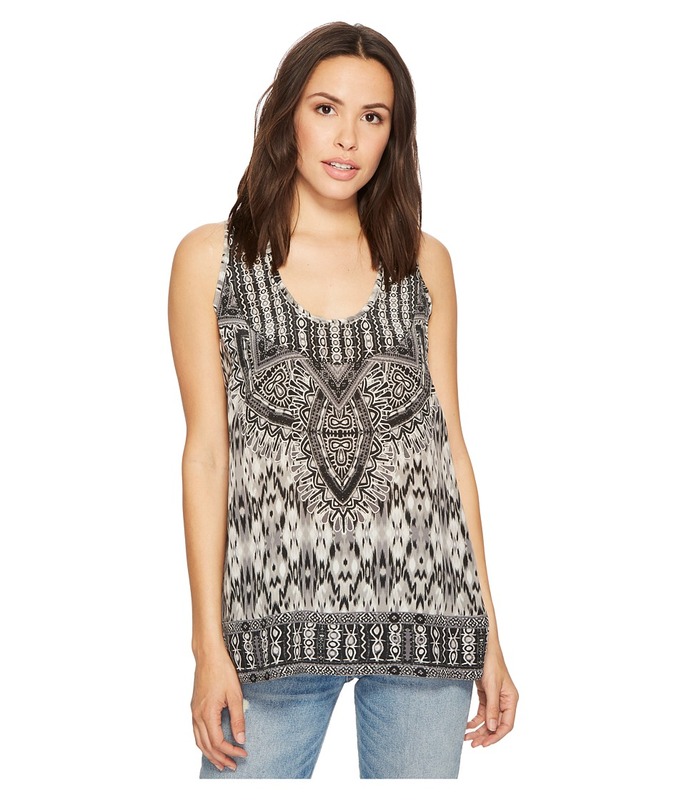 Ignite the fashion fire inside in this striking Tolani Jane top. Luxurious jersey fabrication flaunts an eye-catching print throughout. V-neckline. Long sleeves with single-button cuffs. Full front button closure. Dramatic shirttail hemline drops at back. 100 percent silk. Dry clean only. Made in India. Measurements: Length: 27 in Product measurements were taken using size SM. Please note that measurements may vary by size. 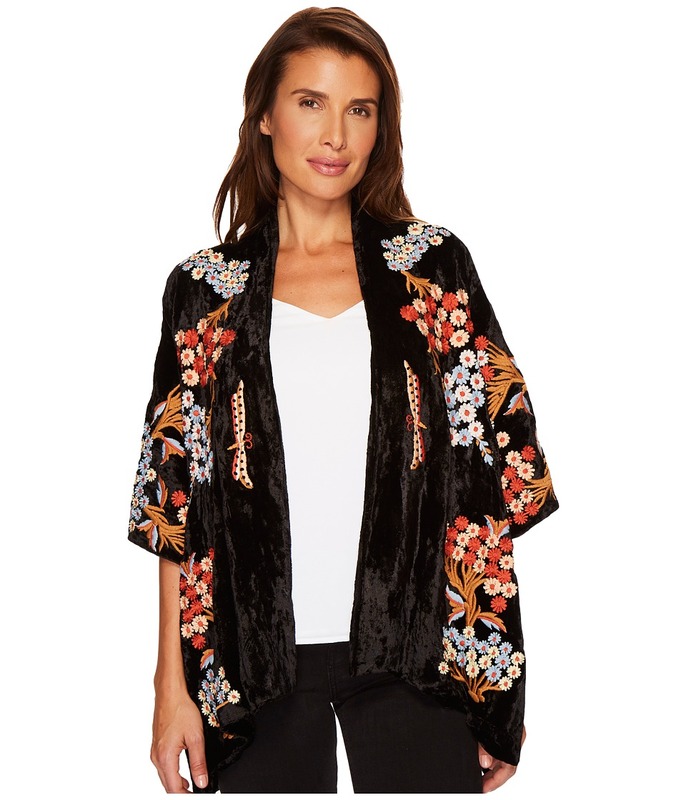 Feel festive and fabulous this season with this Tolani Brandy Blouse. Lightweight draped fabrication boasts stunning embroidery at the placket and sleeves. Notched V-neckline. Sheer long sleeves. Curved hemline. 100 percent viscose. Dry clean only. Made in India. Measurements: Length: 30 in Product measurements were taken using size SM. Please note that measurements may vary by size. 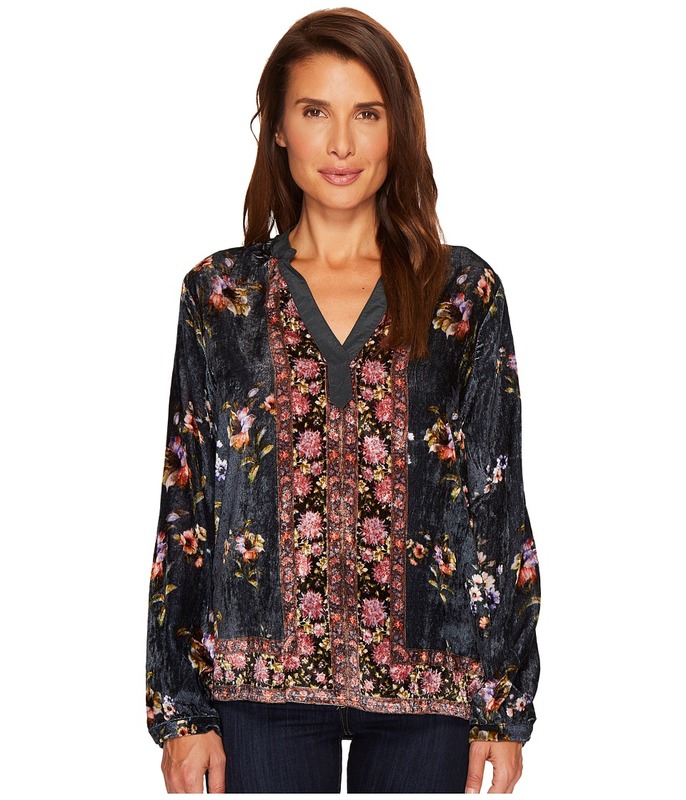 Stunning patterns adorn this Tolani Elise Blouse. Blouse flaunts a luxurious silk fabrication. V-neckline with tassel detail. Long sleeves with single-button cuffs. Straight hemline. 100 percent silk. Dry clean only. Made in India. Measurements: Length: 26 in Product measurements were taken using size SM. Please note that measurements may vary by size. 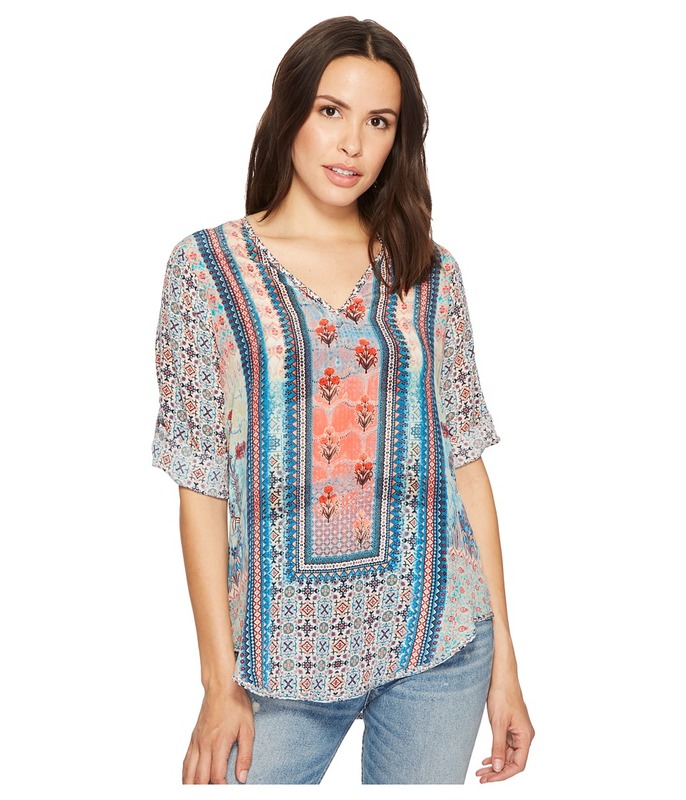 Nothing shows off your endless style in this Tolani Genevia Blouse. 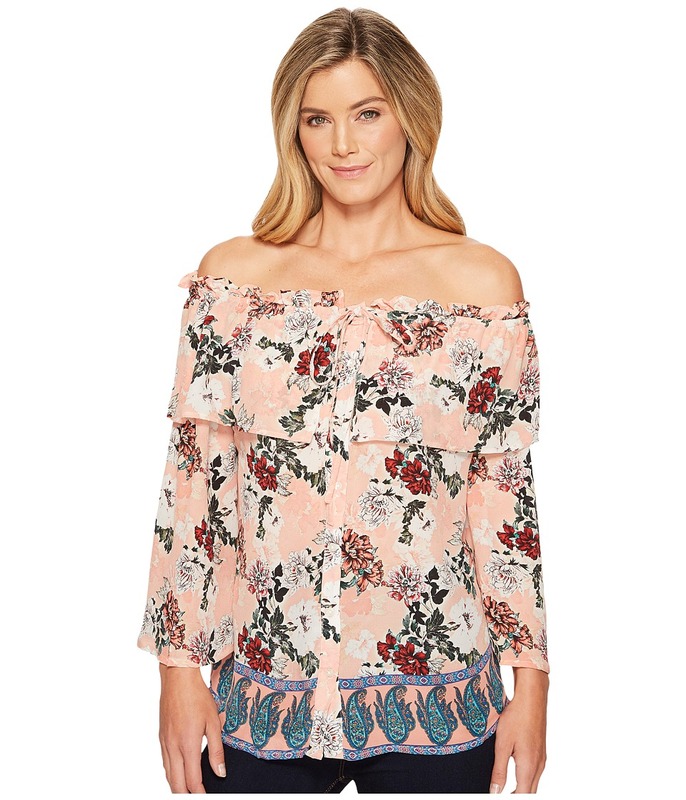 Off-the-shoulder blouse boasts vibrant florals on a luxe silk fabrication. Elastic neckline with drawstrig tie. Bracelet length sleeves. Full button-up front. Chic popover detail. Straight hemline. 100 percent silk. Dry clean only. Made in India. Measurements: Length: 20 in Product measurements were taken using size SM. Please note that measurements may vary by size. 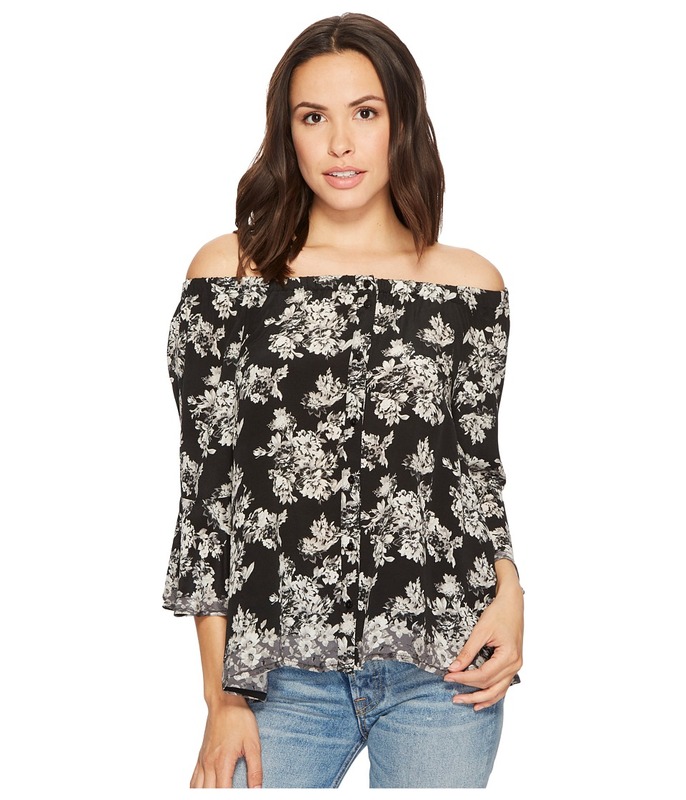 Flaunt your standout style with this Tolani Vikki Top. Top flaunts a stunning print on a luxe silk fabrication. Relaxed fabrication. Scoop neckline. Sleeveless design. Straight hemline. 100 percent silk. Dry clean only. Made in India. Measurements: Length: 27 in Product measurements were taken using size SM. Please note that measurements may vary by size. 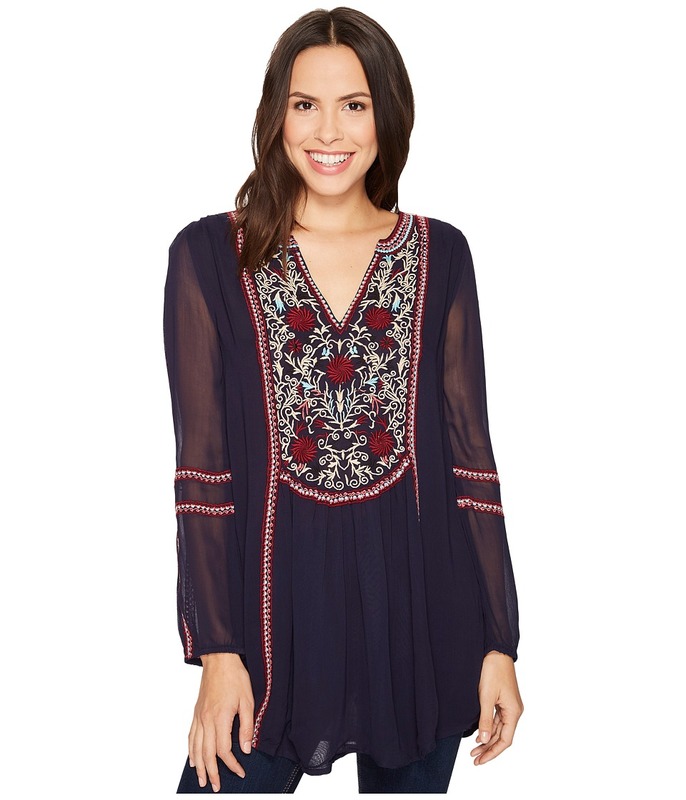 Make sure you~re ready for the season in this Tolani Paula Blouse. Blouse flaunts chic botanicals on a luxe silk fabrication. Relaxed off-the-shoulder fabrication. Elastic neckline. Three-quarter sleeves. Full button-up front. High-low hemline. 100 percent silk. Dry clean only. Made in India. Measurements: Length: 22 in Product measurements were taken using size SM. Please note that measurements may vary by size. 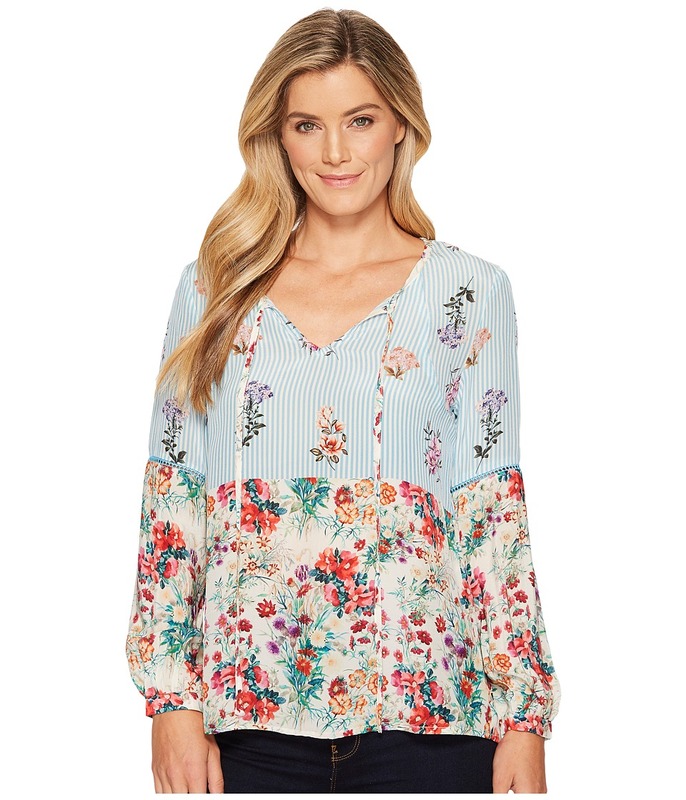 Amp up your warm-weather style in this Tolani Molly Blouse. Blouse flaunts a chic mult-pattern detail on a luxe silk fabrication. Relaxed silhouette. V-neckline. Three-quarter sleeves with roll-tab feature. 100 percent silk. Dry clean only. Curved hemline. 100 percent silk. Dry clean only. Made in India. Measurements: Length: 27 1 2 in Product measurements were taken using size SM. Please note that measurements may vary by size.